There is simply nothing more valuable as a commodity than wisdom. 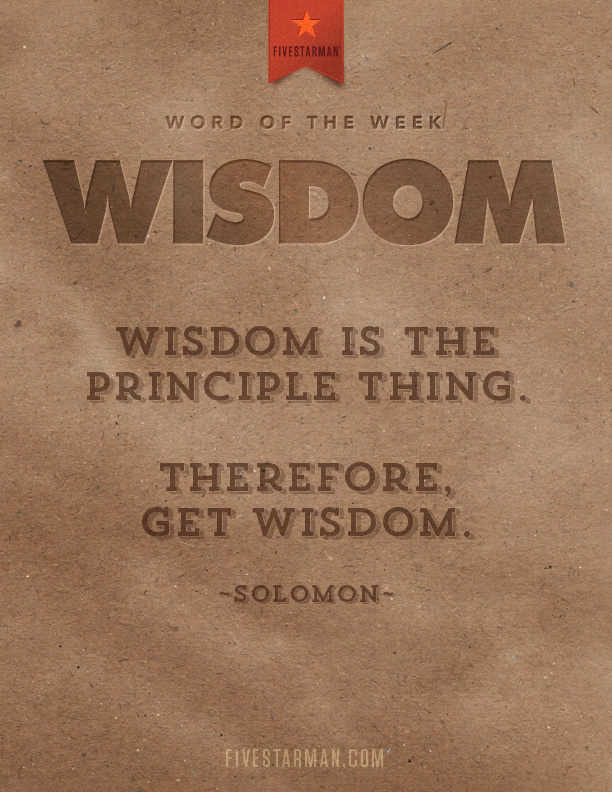 In fact, Solomon said that wisdom is more rare than rubies and that nothing can be compared to wisdom. Yet, it seems as if fewer and fewer men are willingly and fervently pursuing wisdom. One thing I’ve learned from God is that He is not withholding secrets FROM us but he holds His secrets FOR us. The Apostle Paul said that God’s secret wisdom is awaiting our discovery if we are willing to dig deep into finding it. We’re living in a time that requires wisdom. We’re not going to be able to navigate the challenges of making a living, protecting our families, and fulfilling our purpose without having wisdom to do it. It is time that we, as men, seek God and His Word for the answers to the challenges we face and ask for His wisdom as we lead others. If money alone could do it, we could have fixed it by now. If power alone could do it, we could have overcome it by now. No, we need the principle thing. We need wisdom.